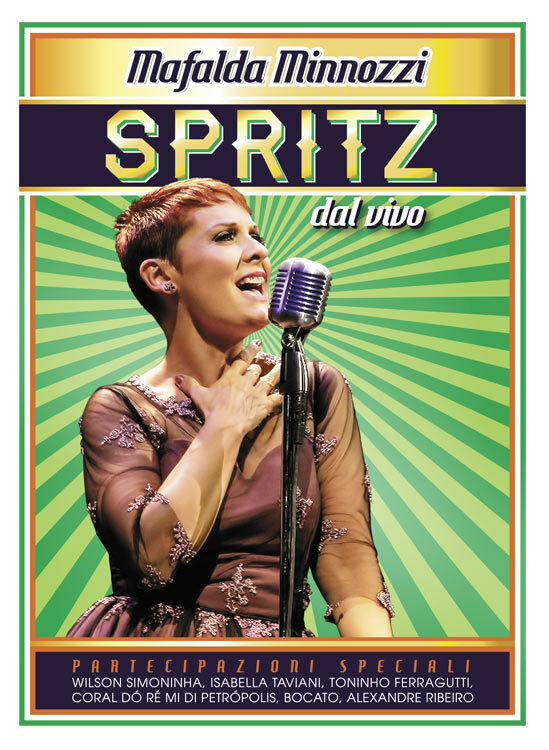 The DVD “SPRITZ Dal Vivo” is the most recent production of the project “SPRITZ”. An enchanting work, magical and refined that was recorded in March of 2013 on the beautiful stage of the Ibirapueira Auditorium in San Paulo. In the audience people of all ages sang and enjoyed the sound of the immortal songs “Io Che Amo Solo Te”, “Voglio Vivere Cosí”, “Il Mondo” by Jimmy Fontana and “Arrivederci”. 21 pearls, 21 paintings, 21 different emotions with various rhythmic twists in a modern re-reading of the most beautiful melodies written in the Italian songbook with just the right dose of innovation. The DVD documents a true music festival that unites Mafalda and Italian song onstage with noted Brazilian artists sharing memories and emotions.